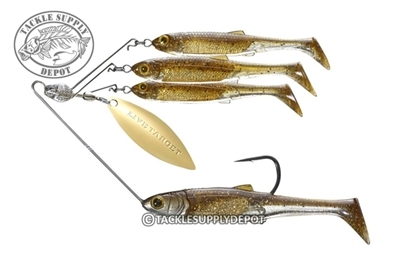 The BaitBall Spinner Rig is the latest addition to the LIVETARGET BaitBall Series. This innovative design mimics a small cluster of fleeing baitfish. 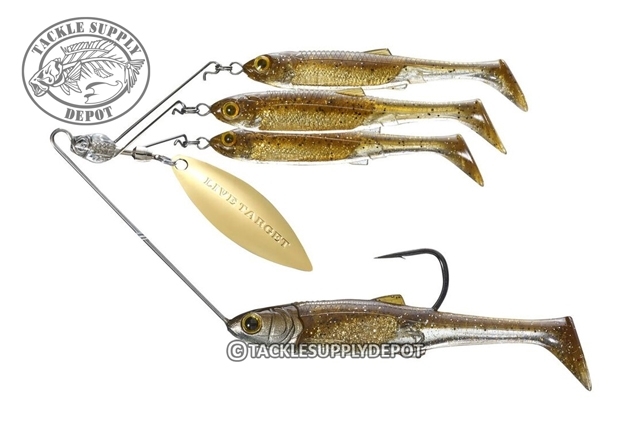 The three Teaser bodies and willow blade at the top of the lure roll side-to-side, creating vibration and a flicker-like flash, calling in nearby game fish. When the predators see the BaitBall, they will strike the Target body that is strategically segregated away from the main cluster of Teaser bodies in the BaitBall. With the success of umbrella rigs in the last few years its no secret fish target baitball with primal instinct and with the various regulations that exist for such harness systems LIVETARGET has designed an outfit capable of not only mimicking but improving on the A-Rigs in a compact style much like a spinnerbait.